The Clinton Public School Media Center's mission is to provide students with the skills to seek and evaluate information, to develop a love of literature, to nurture a love of reading, and to become life-long learners. Direct instruction and the use of multi-media materials are intended to support, complement, and extend classroom instruction. Access is available to local, national, and global resources that expose learners to diverse ideas, experiences, and opinions. The Library/Media Center offers opportunities for creating and using information for knowledge, understanding, imagination, and enjoyment. www.timeforkids.com is a web site that you might find useful and entertaining to use with your primary or intermediate student. The media center has purchased a subscription to the Cobblestone Online database. These non-fiction articles are a terrific compliment to what your students are studying in school or just for fun reading! is a unique database of thousands of articles from the award-winning magazines of Cobblestone Publishing. Now with just a few clicks on the Web, you can access an entire collection of articles from Cobblestone, Faces, Calliope, Classical Calliope, Odyssey, AppleSeeds, Dig, Footsteps, and California Chronicles magazines. The database includes comprehensive information in the following main subject areas: American history, contemporary world cultures, geography, world history, physical science, astronomy, earth science, archaeology, African American history, California history, and general social studies and science topics. www. Cobblestoneonline.net User name: RNECCS Password: 7NXQYUCobblestoneOnline.net is nonfiction at its best! A great tool for students, teachers, and librarians! It also provides English language arts, social studies, and science teachers with much needed quality expository writing. ailable for families to use at home.Topics include American Indians, ancient civilizations, continents, U.S. government, westward expansion, disasters, ecosystems, extreme nature, human body, and space. Within each category you will find videos, audio readings, images, text, internet links, experiments, and more. Scroll down and at the bottom of the left side, click on customer login. Social Studies by Scholastic. From the colonial times to hydrofracking ....videos, articles, related web sites, project ideas, etc. In terms of traditional encyclopedias, this is Wikipedia's main rival. It contains every current volume of the Encyclopedia Britannica, with easy-to-use search tools. While it doesn't follow Wikipedia's model, it is much more reliable, and you can cite facts from it with confidence. Yours tudent needs to have a county library card, which is free to all Hunterdon County residents at any library branch. This research tool is through the Hunterdon County Library. ~You will need your Hunterdon County Public Library Card and 4-digit pin to login. Explore the history of the United States through original documents, photos, and records. Learn about the Declaration of Independence, Constitution, Bill of Rights, and our presidents. Learn about 100 milestone documents from American history. Students and parents will find these primary sources of information intriguing and useful in social studies classes. There are also interactive activities on the site. 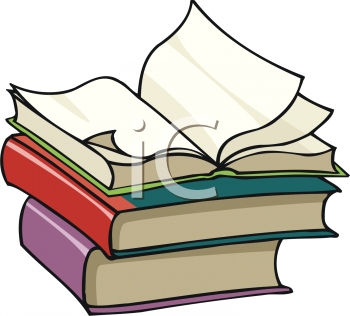 Below are 2 web sites which list books for children from birth through age 14. ALSC...Association for Library Service to Children...is a division of the American Library Association. The first list includes notable books published in 2015, and the second list contains suggested summer reading by grade levels. All residents of Hunterdon County may join the county library and use any branches of the library. There is no cost and all that is needed is an ID with your address on it. Stop in at the North Branch of the Hunterdon County Library at 65 Halstead Street in Clinton.